We are one of the leading manufacturers and suppliers of excellent quality Reconstruction Plates. 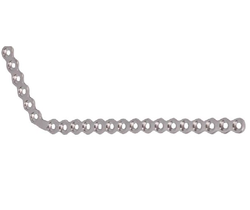 It is primarily used for the purpose of pelvic and acetabular fx. These also find application in distal humerus fractures, the clavicle and the calcaneus. These are manufactured using premium quality raw materials bought from our reliable vendor. These products are manufactured under the able guidance of our highly qualified professional and technical experts. These are available in various sizes and designs to meet our clients’ specifications. The entire range of this product is available at most competitive market prices. 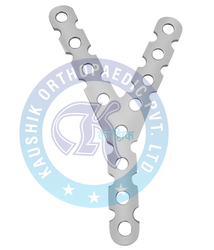 We offer a wide range of superior quality Y Reconstruction Plate. It helps to stabilise or realign broken bones in surgical procedures. These are manufactured using premium quality stainless steel and titanium. Our wide range of these products is biocompatible and available in various sizes and designs to meet our clients’ specifications. These are manufactured under the able guidance of our highly qualified professional and technical experts. All these products are available at most competitive market prices. We are leading manufacturers & exporters of Angled Reconstruction Plates. 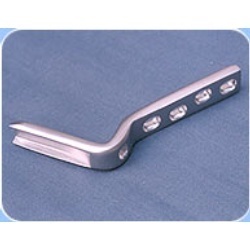 We are leading manufacturers & exporters of Mandibular Reconstruction Plates. 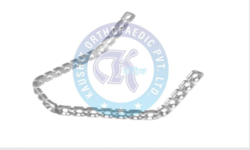 Double Angled Osteotomy Blade Plate offered finds use in invasive orthopaedic procedures and can be made available in different specifications.